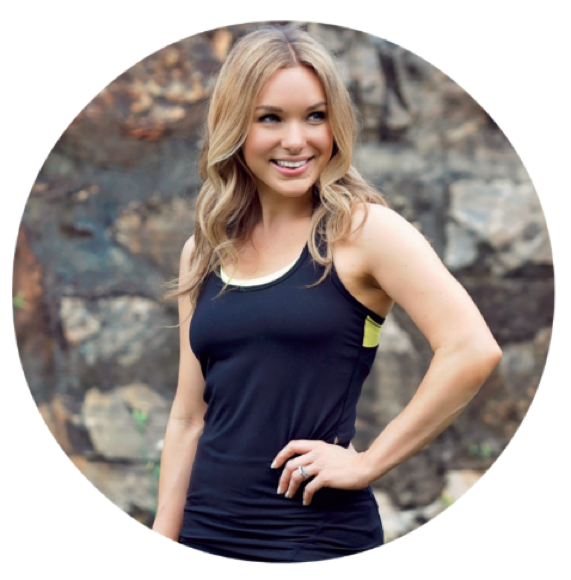 Shannon H. Sullivan is a certified Integrative Nutrition Health Coach and plant-based cook, creator of the popular health coaching program Your Balanced Lifestyle, and web host/producer on Youtube where she posts weekly videos that inspire healthy eating and living. She lives in sunny Florida with her husband and Maltese, Mickey. Can you believe 2017 is right around the corner?! I don’t know about you, but I love to set new goals for each new year. The start of a new year, in my opinion, is the perfect opportunity to plan, organize, and specify my desires and intentions. 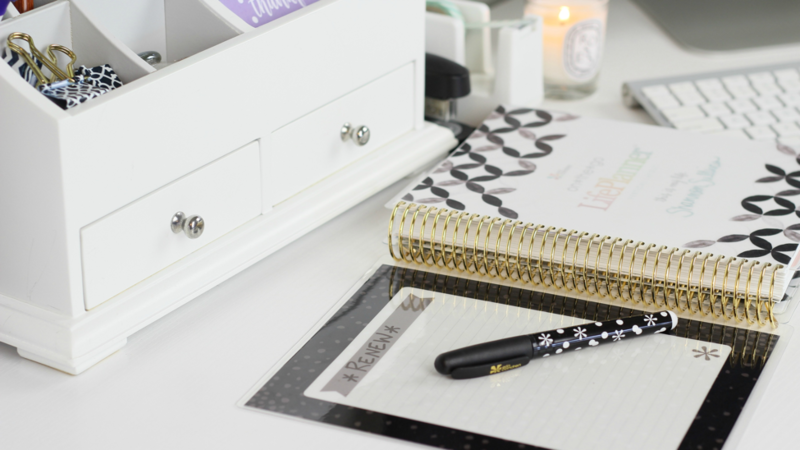 Over the years I’ve learned a few tips that help me when I plan and set new goals. I share this same process with my one-on-one clients when I begin my health coaching program. 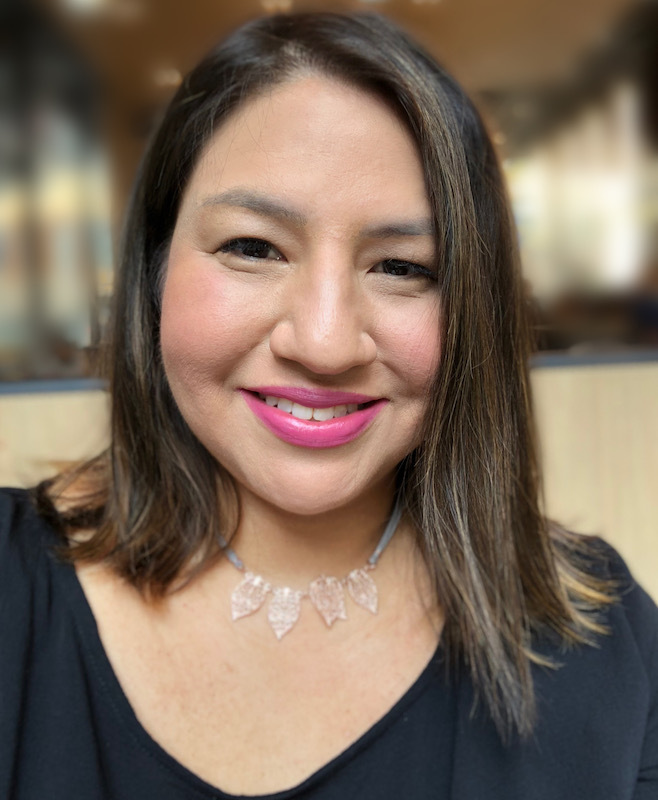 You want this to be a fun experience and something you can look forward to – so set goals that make you feel excited and challenged, but also goals that are within your reach! I tell my clients that small, manageable steps toward your goals are much more sustainable than making huge, drastic changes right away. 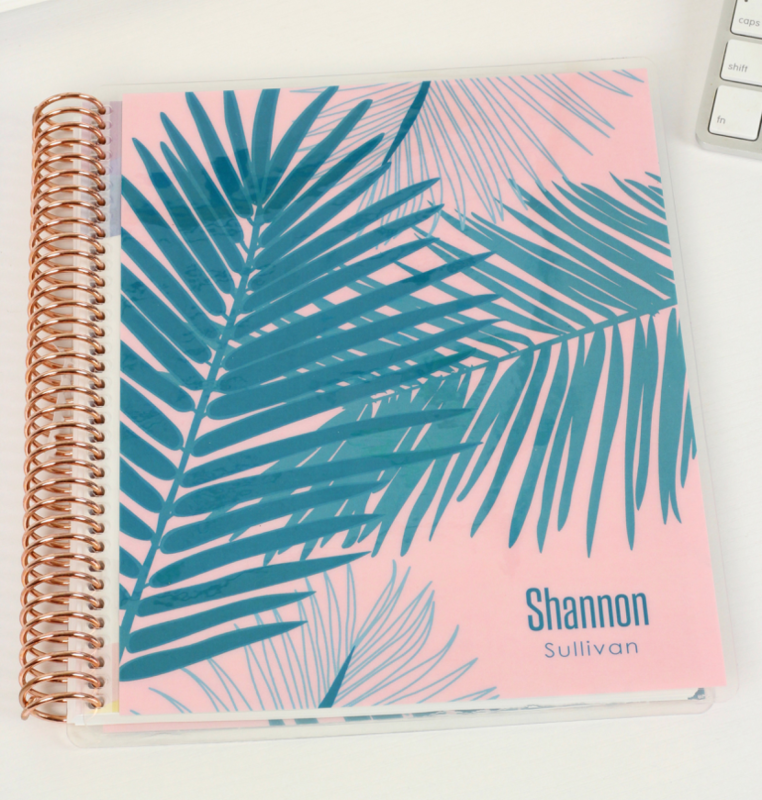 I chose the Erin Condren Notebook because it’s extremely customizable. You can choose your own interchangeable cover design (and personalization! ), size, and the interior layout. 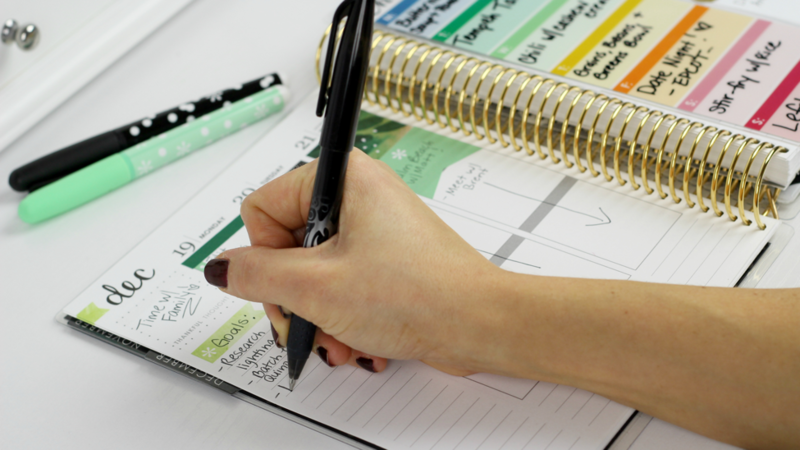 The layouts come in three different styles – Productivity (my personal fave…because LISTS! ), Classic Lined, and Dot Grid. Each Notebook also includes one sheet of flag stickers, which I love to use so I can organize sections and highlight special events. When I write goals, I love to dig deep by asking myself, “What will achieving this goal do for me? What will be different in my life?” This allows me to gain insight into what the goal will actually DO for me – that way I won’t lose focus once it becomes difficult to maintain. I can be reminded of how it makes me feel, as well as my original vision – the reason behind why I started. 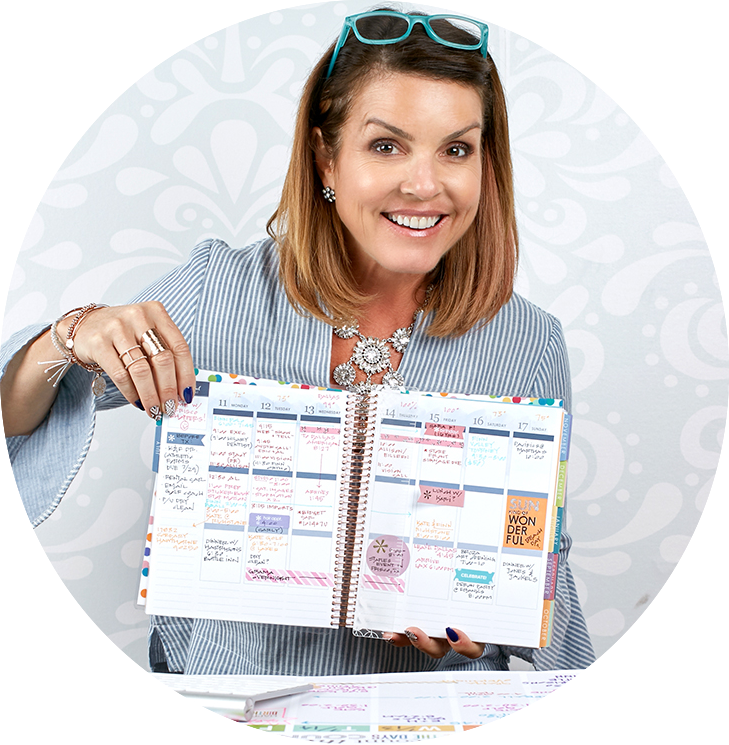 After I write three big goals, I then hold myself accountable by jotting down a few weekly goals at the beginning of every week in my Erin Condren Life Planner. This helps me stay on track toward meeting my long-term goals for the year. I also like to set a theme for the new year by choosing one word that resonates with me and the tone I’d like to set for the entire year. Once I choose my word, I write it on the inside cover of my Life Planner. The covers are interchangeable, so you can switch them up and coordinate them with each season! I also love how the inside of each cover has a special spot where you can write down things you want to remind yourself of throughout the year. I like to write my word here because it helps me stay focused on the overall feeling I want to capture that year. 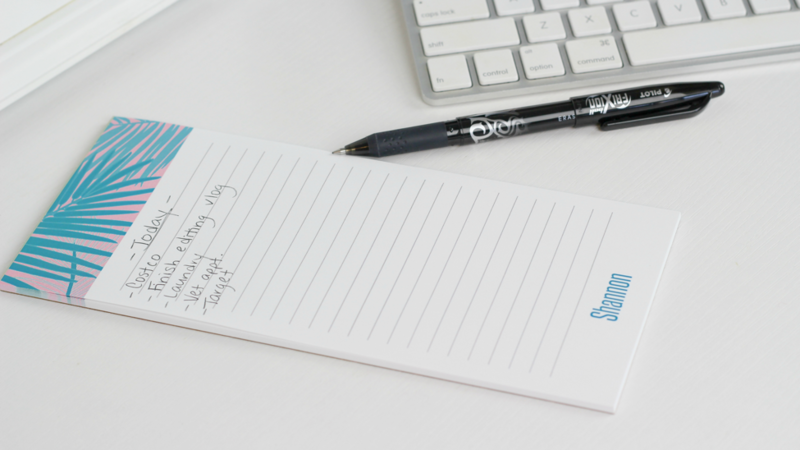 I keep track of my daily schedule in my LifePlanner and use a List Notepad to track my daily to-do list. 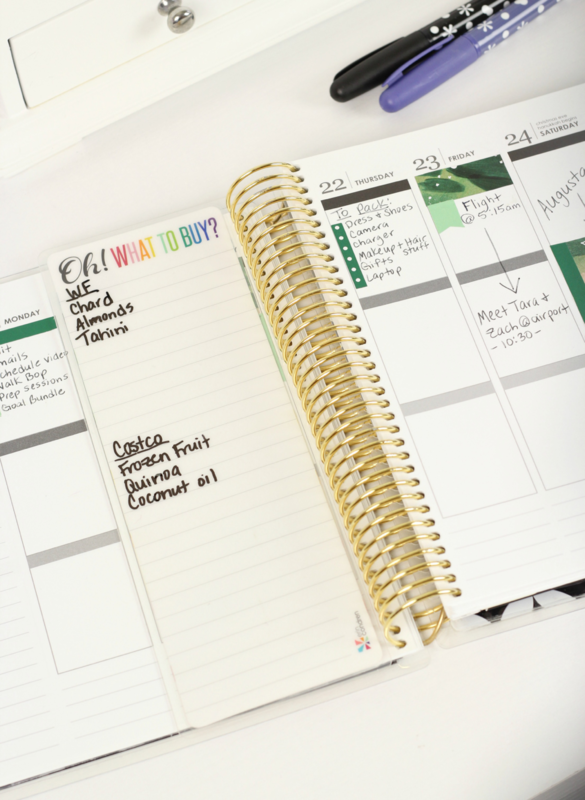 One of my resolutions is to take care of myself by making healthy food at home, so I especially love the Snap-in Meal Planner Dashboard. 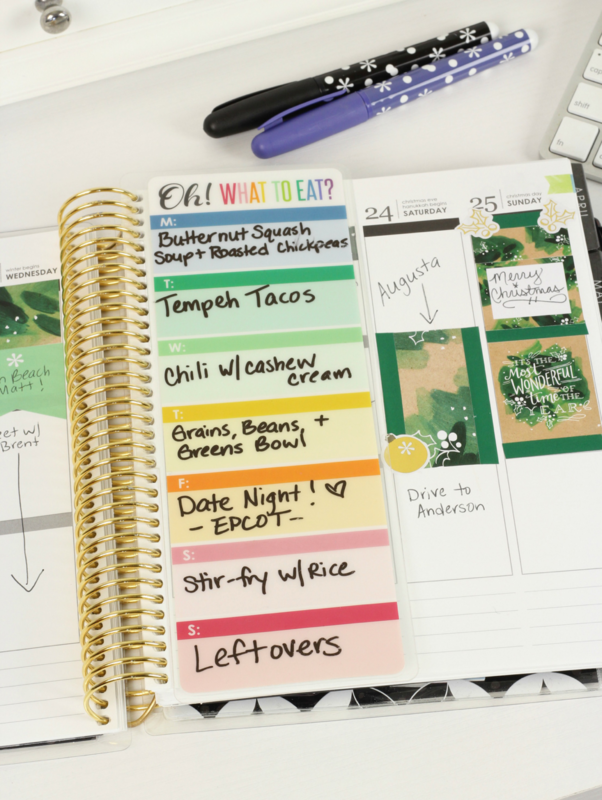 This meal planner snaps into my LifePlanner and helps me stay on top of my dinner plans for each week. I keep a grocery list on the back so I know what foods/ingredients I need to purchase at the end of each week. The Wet-Erase Markers make it easy for me to wipe off the board once I need to plan for the new week! 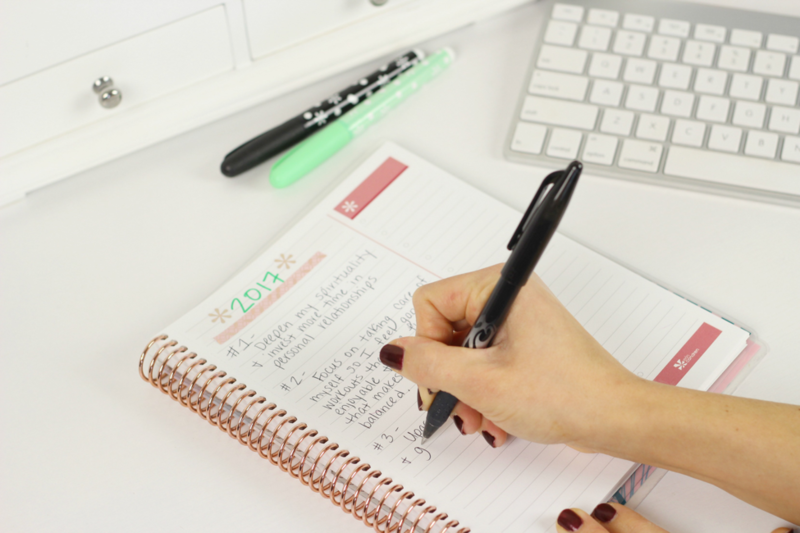 I hope these tips inspire you to make 2017 your best year yet!